Do you have an inspiration board? We do. It sits in our office and features an ever evolving collection of magazine pages, paint chips, sketches, photos, and bits and pieces of ephemera picked up along our travels. This is what the board looks like today. Its funny how some things on the board are new additions while others have been there, well, since we started the board three years ago! And while I'm not the type to exactly replicate a look I see in a magazine photo, its cool to see how some of the inspirations are skewed and twisted and turned and reinterpreted into our own home (like the striped stair runner and the white kitchen cabinets). When I look at the board, I guess I get a sense of what our general style is like - new traditional with classical details and some pattern thrown in. Do you keep a design folder with pages torn out of magazines? 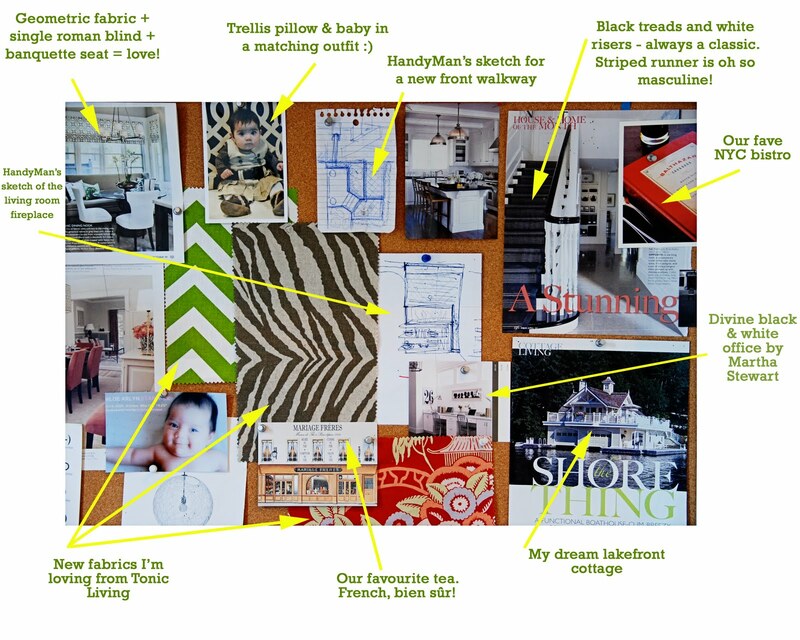 Or is your inspiration board a virtual one with hundreds of links to favourite online images pinned to it? 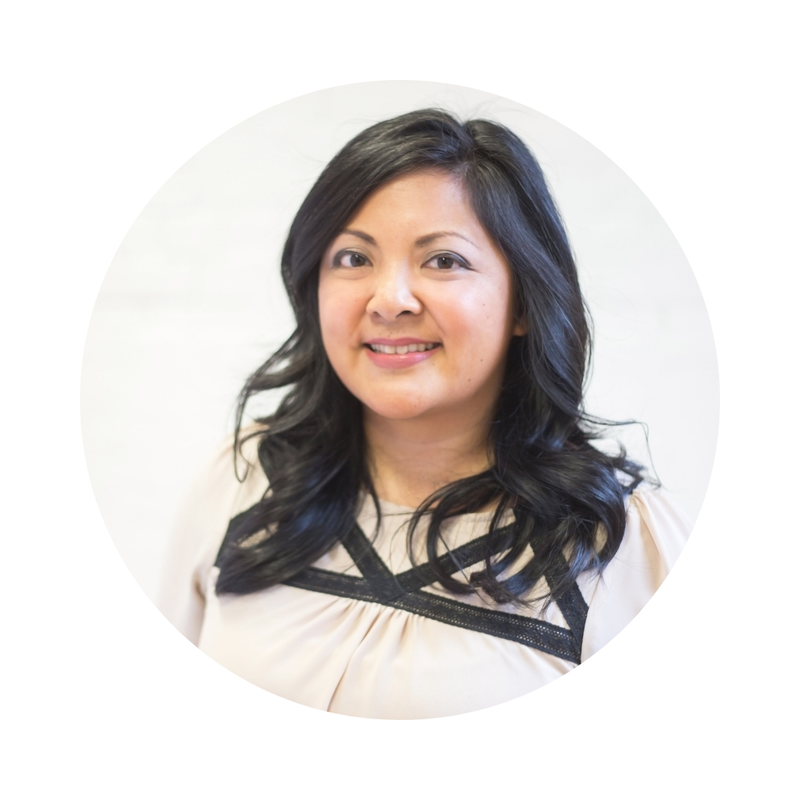 Tell me - how do you stay inspired? I have a ton of folders saved on my computer. They are labeled by categories such as: kitchen, textiles, accessories, living room, bedroom, etc. Great board! I love how it is a mix of personal items and design. I am a huge fan of Pinterest. 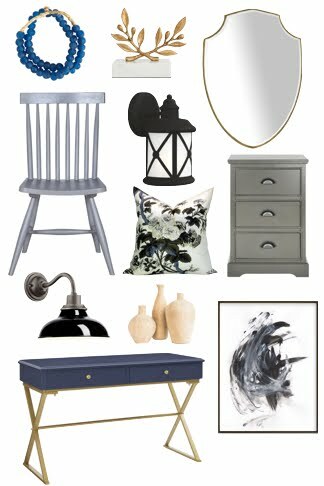 I create boards based on every room in the house - even staircases - and then whenever I see an image online that I like, I "pin" it and it keeps it all together in one spot, with the link of where it originally came from, just in case I need it in the future. I do need to create a real inspiration board in my office because I am accumulating cut outs from magazines, pictures and business cards that I want to keep in one place. I guess it helps having both a real board and an online one! I have a binder full of things I have pulled out of magazines, catalogs, etc. I also have a tumblr that I use just for things I love online. That staircase inspire me to paint my stairs classic black and white , and that is my fave cottage too , beautiful stuff. How do I stay inspired? Why, by reading my favorite bloggers, of course! I have folder and a sketchbook. But I gotta say, it's not nearly as fun to look at without the ADORABLE little one that yours is sporting! fabulous board! 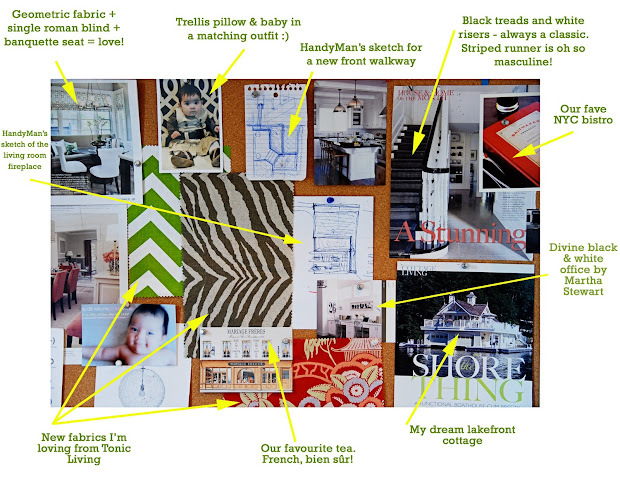 love it~ i get inspired by magazines, colors, texture, and of course all the amazing blogs--like yours!